We lived in Taiwan for eight and one half years from January 2004 to July of 2012. My wife Jane Ingram Allen was selected as a Fulbright Scholar and elected to go to Taiwan on a six month research project. The project was to determine what plants and trees could make paper. During this six months we stayed mostly in Taipei. She requested and received a second Fulbright to continue her research at thirteen additional places in Taiwan. After completing the years research a book was written and major exhibitions held. I then applied and was hired as a full time native speaker for the Department of Applied English at Hsiuping Institute of Science and Technology in Taichung County. The school later became the Hsiuping University of Science and Technology. After seven years I retired and we returned to the U.S.
Additional images will be added to the Taiwan Blog section. 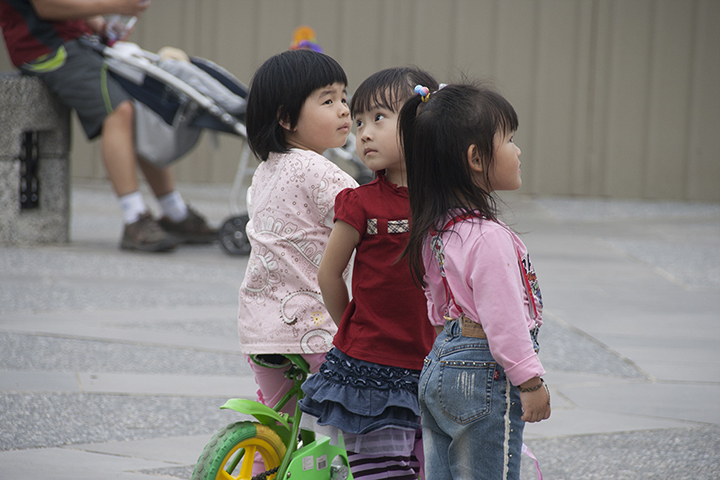 Three girls were playing in the plaza in front of the National Taiwan Fine Arts Museum in Taichung. 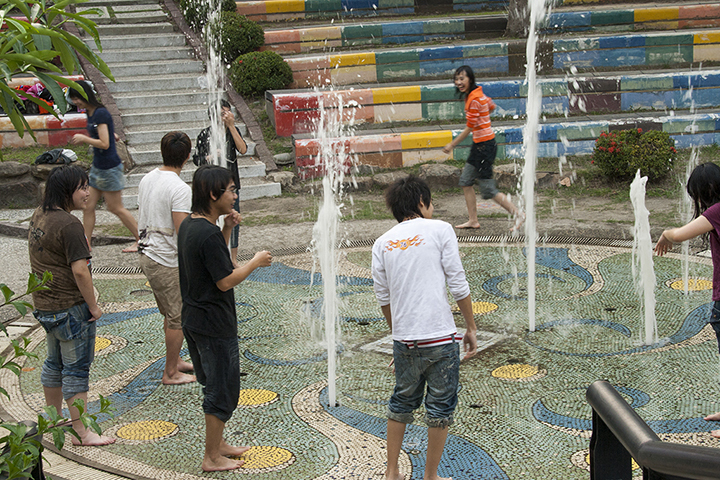 It was one of my favorite locations to photograph as so many Taiwanese enjoyed going their to play and relax. 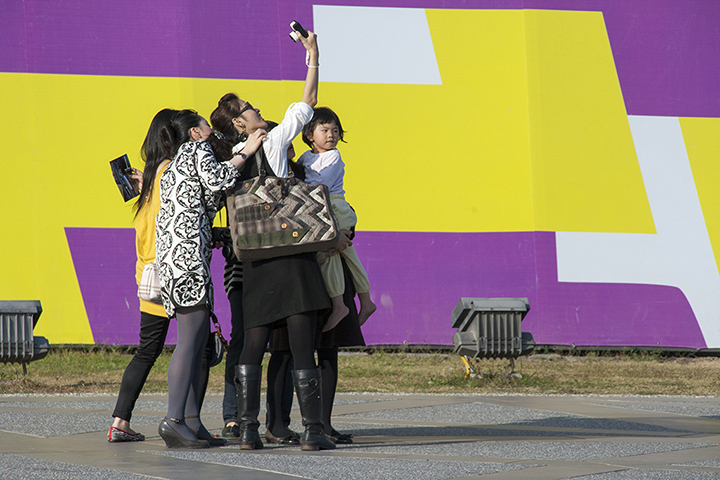 Taiwanese really enjoyed photographing each other.and themselves. These were in the National Museum of Fine Arts Plaza in Taichung. 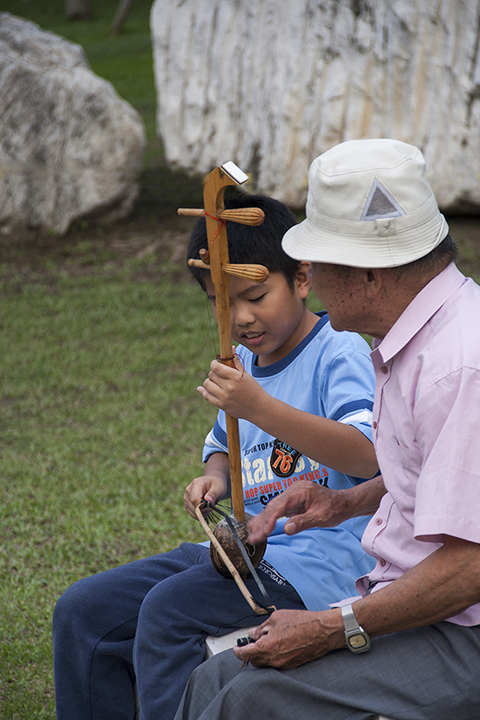 This boy was learning to play music on this traditional instrument from an older man. Near the Taiwan National Fine Arts Museum that was a place where children would play in the water spouts. It seemed great fun on hot day. 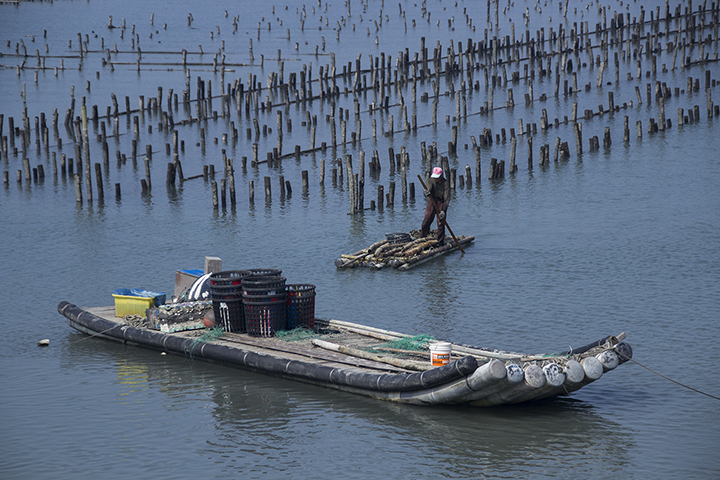 Since Taiwan is an island, fishing is common and produces very fresh and abundant seafood. Near Ching long many people raise and harvest oysters. This man and his wife were elderly but went out to gather, shuck and sell their catch. When I asked my students what they enjoyed doing the most it seemed “Shopping” was the most common answer. 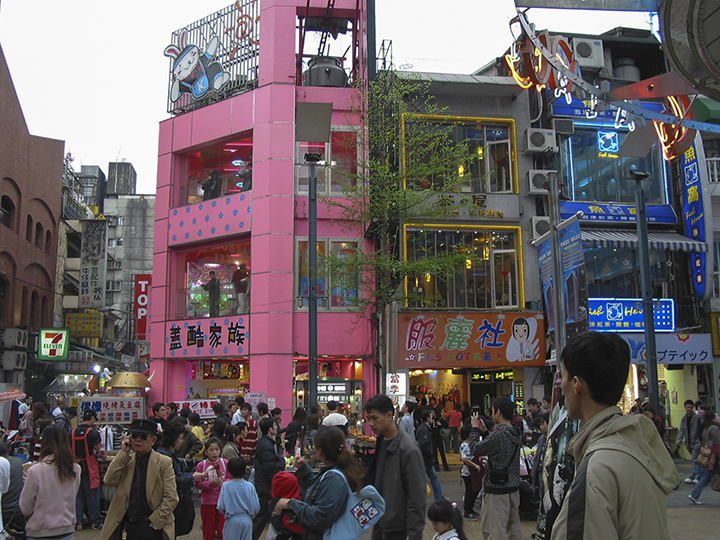 Here is one of the most popular shopping area in Taipei. It is Hsimen Ding. Here you can find most anything for youth oriented people.